Manufactured for the distribution of work clothing to employees. Applicable to range of industries such as hospitals or laboratories. Accessible individually or collectively using the master door. Items can be securely fastened behind the locked compartments. Fitted with standard mastered cylinder lock. 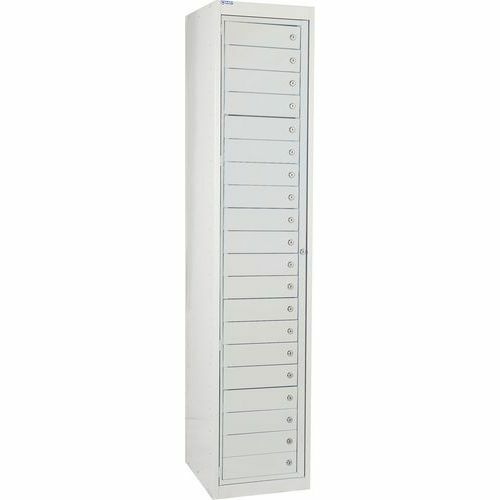 20 door garment unit in a choice of colours. The flat garment unit is ideally suited to ironed garmets, such as uniforms or scrubs.